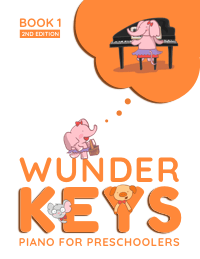 Young piano students crave lesson activities that get them up and off the bench. It is natural for kids to want to use their bodies to learn and to demonstrate their understanding. 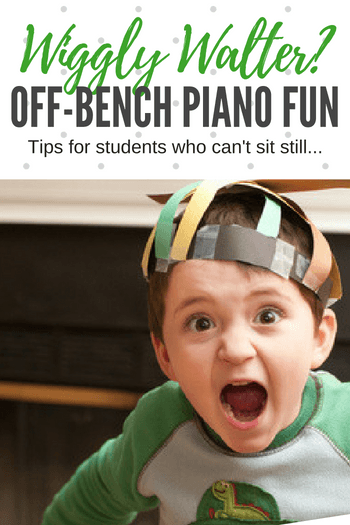 So, piano teachers need to have an arsenal of “move it” activities for those moments when you know your student needs to burn off some energy! 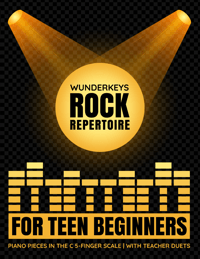 The Quarter Note – Your student curls up in a ball on the floor and extends their right arm as high and as straight as they can (making the stem of the quarter note). The Bass Clef – With their hands above their head as though they are about to dive, your student curls their body to emulate the curve of a bass clef. The Slur – Balancing on one foot, your student tips forward while reaching one leg out the back and one arm out the front creating a “slur”. This is a hard one! Use the piano bench for balance with one hand if needed. The Accent – This is like the Downward Dog pose in Yoga – your student bends over to put both hands flat on the ground in front of their feet, creating an “accent” with their curved back. 2. 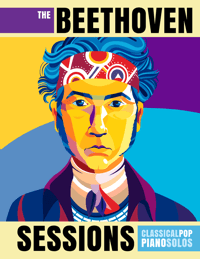 Beethoven May I? Do you know how to play Mother May I? This is the piano version! Your student stands at one side of the studio and asks “Beethoven, may I take a half note step?” You answer “Yes, you may!” or “No, you may take a quarter note step.” etc. Each kind of step is coordinated with the number of beats in 4/4 time (for example, a quarter note step is 1 step, a half note step is 2 steps and so on). The object of this exercise is for your piano student to travel from one side of the room to the next. You can have your back turned and can delay or aid their progress as you see fit based on the kinds of note values you allow! If you have a particularly active child the steps can become jumps instead! 3. Get Moving With Theory – many of the activities in our “Pssst…Your Piano Teacher Thinks This is Theory Book” were designed to get kids moving and using their bodies to learn and show understanding. Try this one (free download!) to get your kids moving and to shift focus in your lesson while teaching them both theory and listening skills. This is just one of 88 activities in this book… there’s lots to help you and your wigglers out! Piano kids are movers and shakers. If we tried to emulate even just a smidge of the physical activity they pack into their day we’d all look like Jillian Michaels! Movement is a natural part of learning for kids, and if we can harness this and incorporate it into piano lessons in a meaningful and music-centered way we’ll have much happier piano students. Looking for an easy way to incorporate “off the bench” ear training and theory instruction? 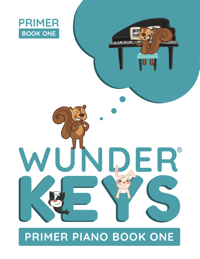 PianoGameClub sends you 4 brand new, exciting and kooky games that will make your Wiggly Walters squeal with delight (and learn a ton too!) 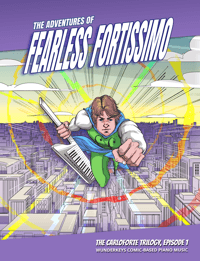 Find out how $8/month can save your “piano teaching sanity” here. 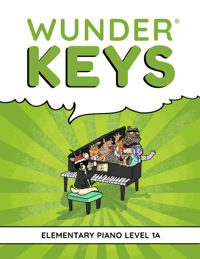 One Simple Bit of Tech May Be a Piano Teacher’s Best Friend!